I'm very happy to work with students in research projects. Most of the work done for the thesis with me is publication-oriented. Students are welcome to contact me for an informal discussion on potential themes for the thesis. 2005 - 2010 European coordinator in "Susy Safe phase II project” (Surveillance System on Suffocation Injuries Due to Foreign Bodies in European Children) funded by the European Commission, DGSANCO, Consumer Affairs Directorate. 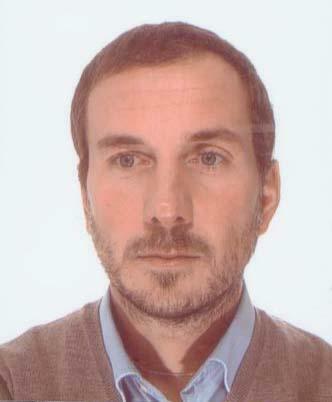 2007 - 2008 National coordinator for the project “NEBICE- Network dei Biostatistici dei Comitati Etici”, funded from AIFA and SISMEC. 2007 - 2009 Collaborating unit responsible in AIFA national’s “Assessing the risk/benefit profile of biphosphonates therapy in secondary prevention of osteoporotic fractures: results from a retrospective color study with regional claim databases”. 2008 Annual project funded by Piemonte region “Evaluation of the economic impact of drugs’s adverse effects on Piemonte’s health service”. 2007 Annual project funded by Piemonte region “ORL surgery: impact on patients according to indirect costs and life’s quality”. As a statistician working in the field of clinical and epidemiological research, I've been involved in a lot of research projects. In clinical research, I'm working since several years in the cardiovascular field and in the hospital infection control. Still some work was also done in oncology, ophthalmology, dentistry and pediatric research. In epidemiological research I'm working on injury prevention, in particular I'm leading the European project "Susy Safe", a registry of choking injuries in children and on obesity and nutrition-related issues. My statistical interests are currently (i) correlated data modeling, (ii) competing risk (iii) clinical data-mining (iv) statistical models for health economic analysis and (v) risk assessment models.